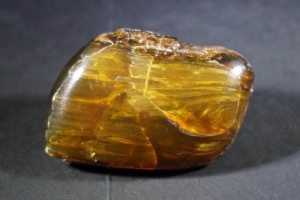 Amber is fossilised resin, gum or sap of ancient plants, especially trees such as pines, firs and spruces. 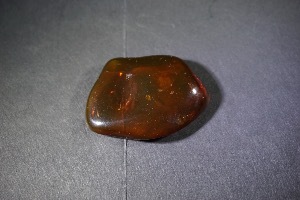 The tree would produce the resin to form a sealant to cover and cracks, breaks, gashes or wounds in the bark, just as our blood clots to seal a cut in the skin. 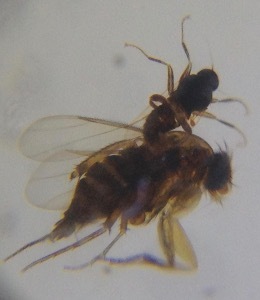 Occasionally smaller creatures, such as flies, other insects, spiders, even small frogs, lizards and some mammals could become stuck in this adhesive secretions, as would plant items like fragments of leaves or twigs. 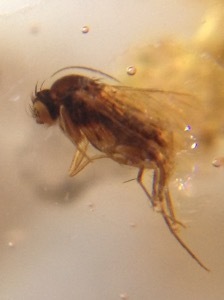 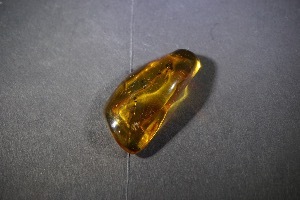 If the resin or sap continued to ooze fairly quickly it may cover and encase the specimen, preserving every tiny detail. 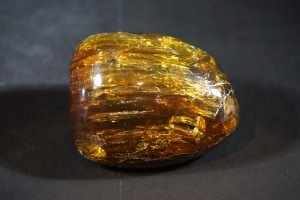 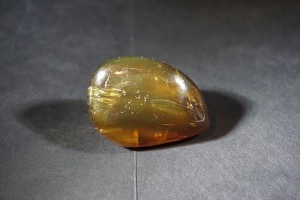 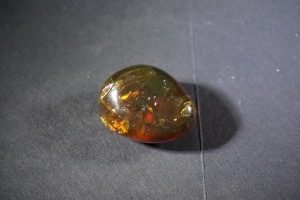 Amber can date back to as far back as the Early Cretaceous period (146 - 100 Million Years Ago) but is very rare and most date from the Tertiary Period (65-2.58 Million Years Ago). 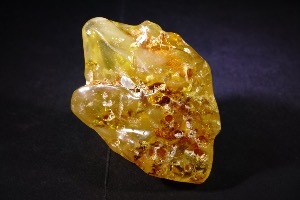 Amber has been admired for its colour and natural beauty since Neolithic times. 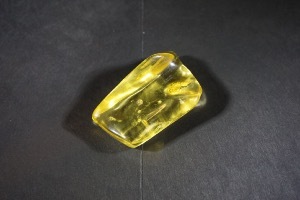 Famous deposits occur in the Dominican Republic, Caribbean and the Baltic region of Europe. 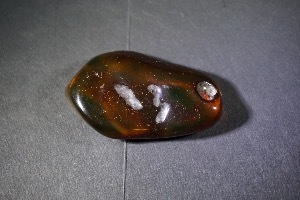 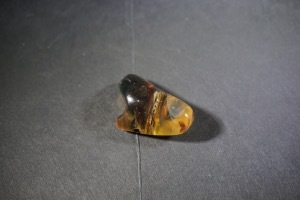 Along with it being use for its colour and beauty in jewellery, Amber is also used for its metaphysical properties and said to help with all round general health and offering protection and booting of personal energy.